Travelling on air for four hours could be a famishing activity, especially when you have nothing in mind to do except for browsing the in-flight menu or food magazine. That was basically the situation I found myself in on my way to Malaysia. I was thankful that Air Asia Cafe's in-flight menu was minimalist and image-oriented. Picking food could have been a boring chore if it weren't. 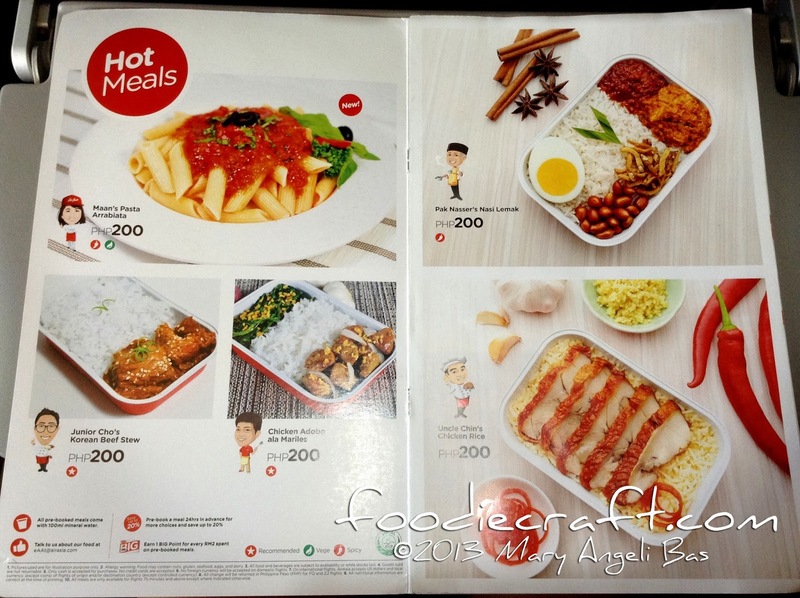 AirAsia Cafe's in-flight menu was a feast for my eyes and belly. It was minimalist and image-oriented. Foods were divided into sections which made choosing food less time-consuming. The menu comprised of Asian, international and vegetarian fares. Passengers can opt for hot or cold and spicy or zesty. I had fun skimming the pages of the menu. Chicken rice. This food was seasoned rice served with roast chicken and accompanied with Uncle Chin's special secret chilli, ginger and garlic sauce. Who's Uncle Chin? He was the chibi of the dish. Dishes and sections of the menu were represented by chibis with different personalities. See? This is why browsing AirAsia Cafe's in-flight menu was fun. Haha! Anyway, how did I find the food? It was good. There was nothing so special about it. The chicken didn't taste bad. The rice was fluffy and the spices didn't fail to do their flavoring job. 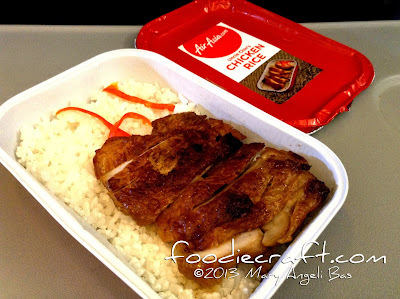 Enjoy AirAsia Cafe's Chicken Rice and other in-flight snacks and meals in AirAsia Zest. 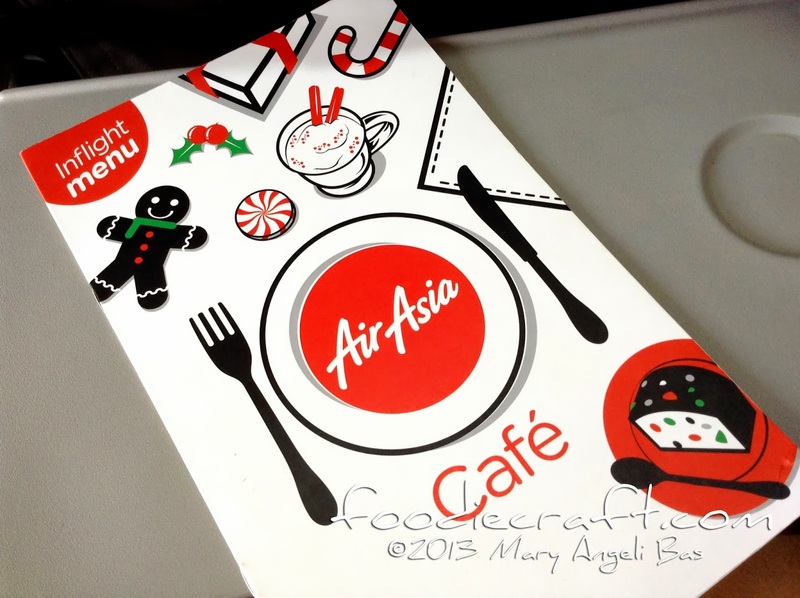 This trip was made possible by AirAsia Zest - The Right Way to fly and Tourism Malaysia - Visit Malaysia 2014. AirAsia Zest now flies to Kuala Lumpur Malaysia from Cebu Mactan International Airport. Visit www.airasia.com for flight schedules, promos and online flight reservation. Follow them on Facebook https://www.facebook.com/Zest-Airways and and on Twitter at @AirAsiaPH. 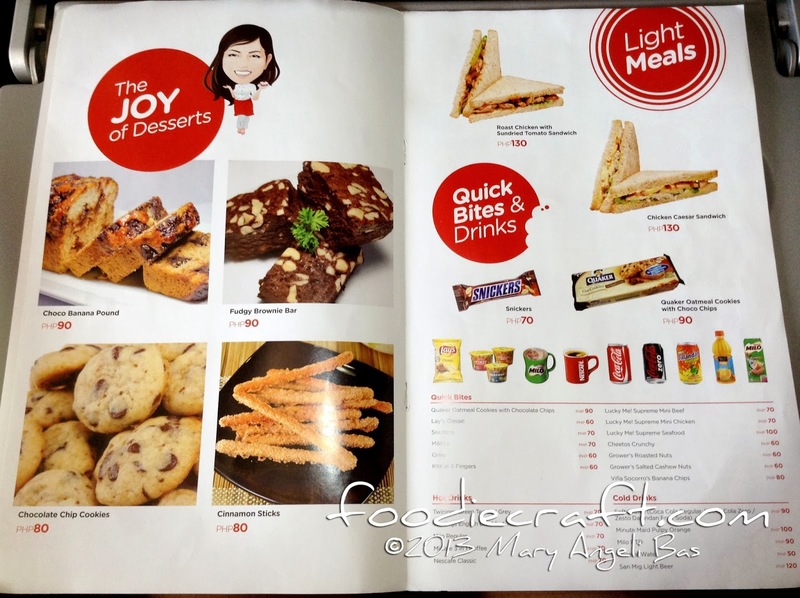 What Satiates the Gourmands of Cebu?